When express entry is not your cup of tea, which immigration program you must opt for? Well, there are several applicants, who don’t receive the ITA (invitation to apply) for permanent residency visa through Express Entry System even after months of their registration in EE System. The low CRS score is the primary reason for the same. However, it is said that candidates with low CRS score can still obtain Canadian PR by applying into other Canada immigration programs with less eligibility requirements. 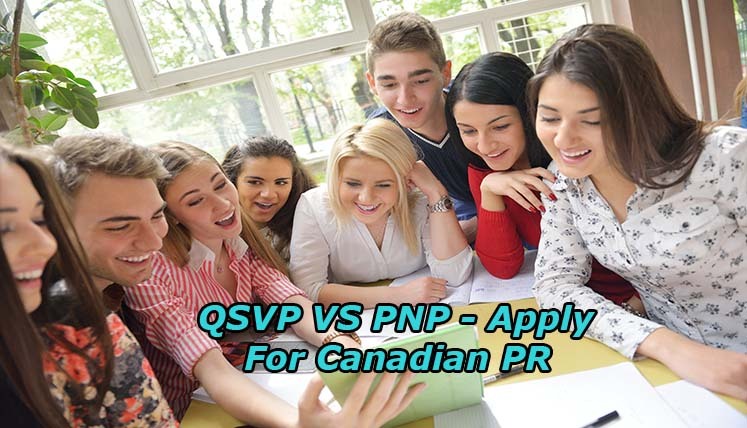 The Quebec Skilled Worker Program (QSWP) and Provincial Nominee Program (PNP) are two popular Canada immigration programs that invite and nominate the candidates for Canadian Permanent Residency even with the low CRS Score. Let’s take a look at both these popular immigration programs. Quebec is a key Canadian province with a strong economy, and bilingual (speaking both English and French) communities. Quebec has its own immigration program, i.e. Quebec Skilled Worker Program (QSWP). The QSWP also follows a point system to choose immigrants. As an individual applicant, you require scoring minimum 49 points; however, if applying with a spouse or common law partner, you need at least 57 points to qualify. If you are selected in QSWP, the Quebec government will issue a Quebec Selection Certificate in your name. The Quebec Selection Certificate or CSQ makes you eligible to apply for Canadian permanent residency. Nova Scotia Provincial Nominee Program (NSNP), etc. Also Read- What are the other pathways to get Canadian PR Apart from Express Entry and PNPs? It all depends on the immigration profile, skills, and expertise and immigration points of different applicants. However, in general, if you are good in speaking French, you must apply in Quebec Skilled Worker Program (QSWP). Quebec is bilingual province where both English and French is spoken widely. Hence, the applicants who speak French well also get preference as well in the QSWP. You may also assess and compare the eligibility requirements of both QSWP and provincial nominee program you are applying, i.e. OINP, SINP, etc. to choose the best one for you to apply. For instance, QSWP demands CLB (Canadian Language Benchmark) – 5 language requirement, whereas few PNPs, i.e. SINP demands the CLB requirement just CLB 4. So, things like these can be the tiebreak between the QSWP and the PNP you wish to apply. You may also seek assistance from the certified immigration expert associated with any trusted Canadian Visa and Immigration Consultancy Service. A genuine and registered Canada Immigration Consultant can provide you vital assistance in choosing the right Canada immigration program based on your profile and immigration points.